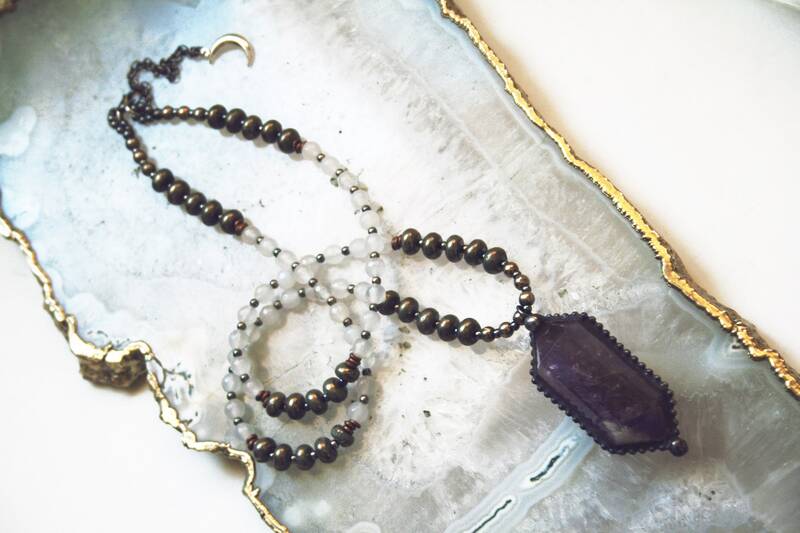 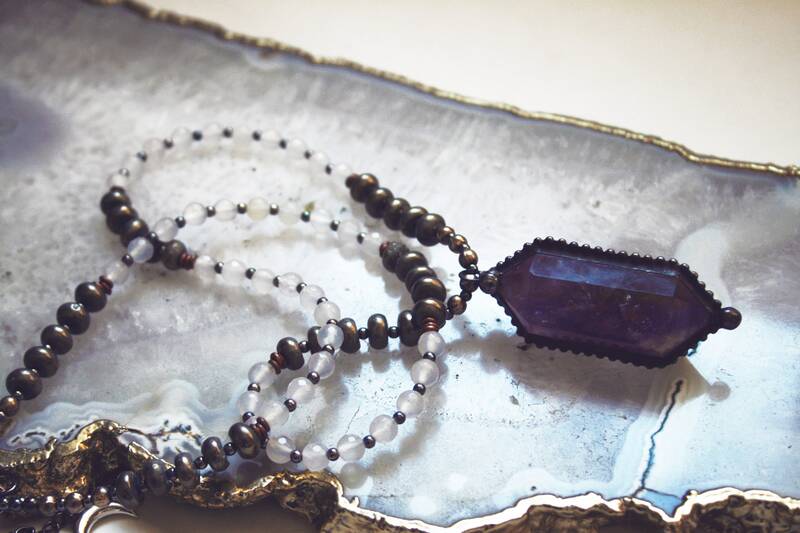 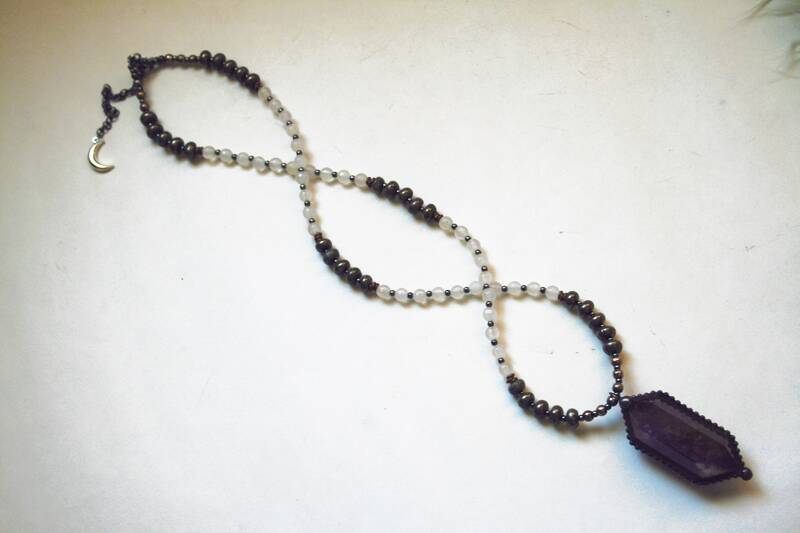 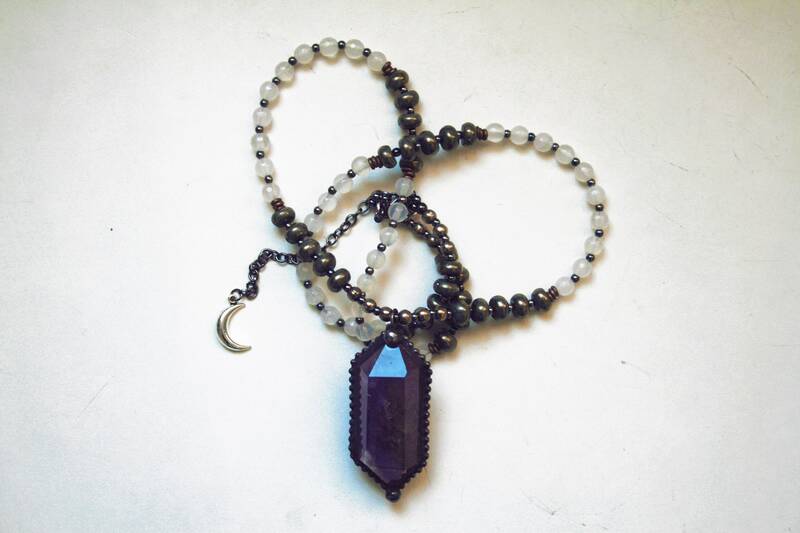 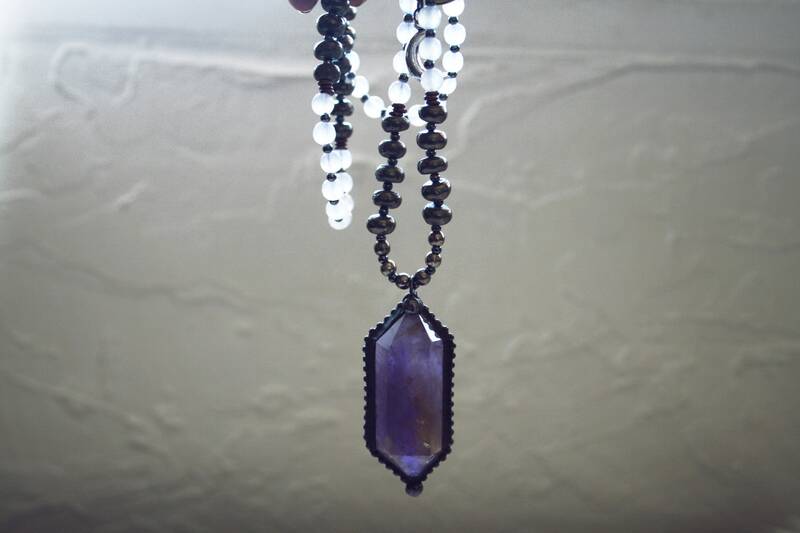 One necklace featuring a large double terminated amethyst/ametrine crystal, in a handmade sculptural solder setting, hanging from a handmade strand of golden pyrite, white faceted agate, and mixed metal beads. 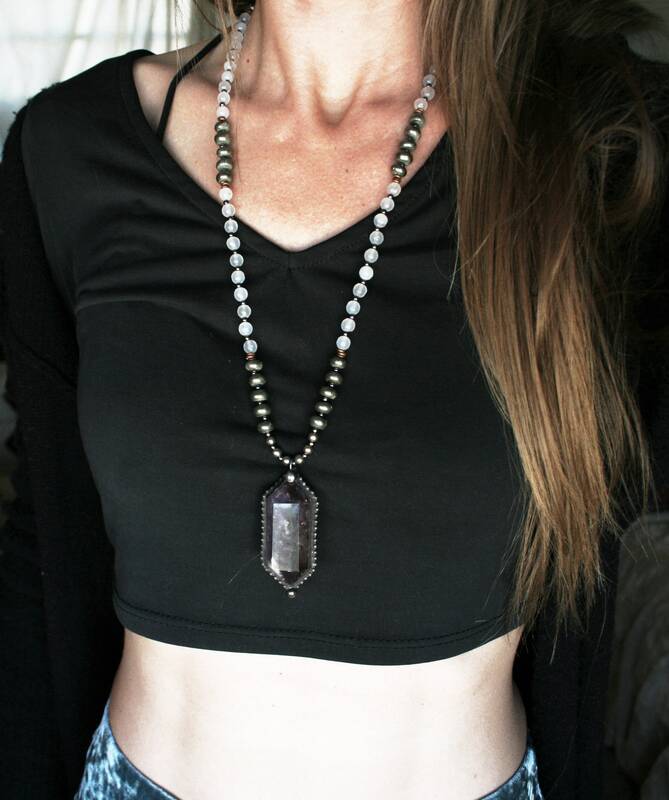 Necklace is adjustable between approximately 25.5" -28.5" long, with a lobster clasp and a silver alloy crescent moon charm. 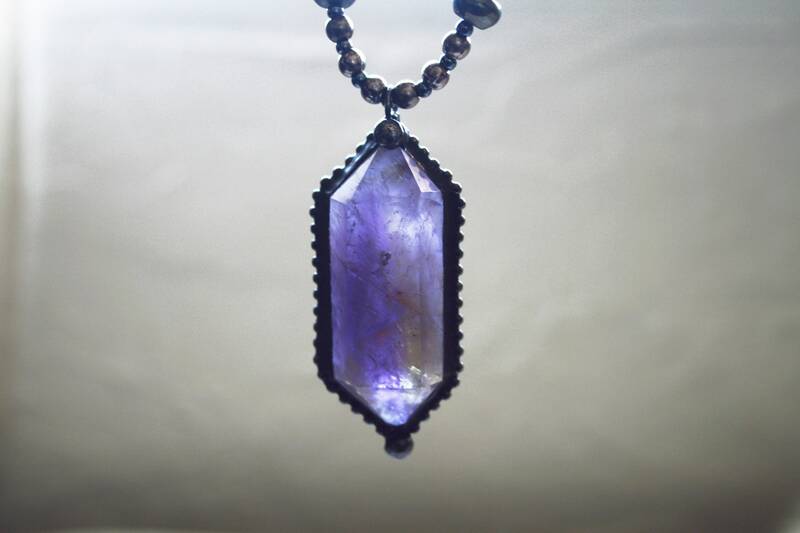 Pendant is approximately 2.3" tall, including the bail.